Our family of birds have been together since the mid 70's. 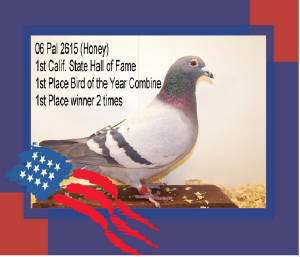 This Devriendt bloodline is the best in the country.Their consistent race records shows win after win from 100-600 with all of our birds, they are truly an all distance champion family of birds. This is a high performance family with one of the top records in America. 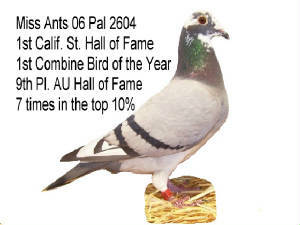 North American Continenal Award Middle Ace Pigeon 2nd Place 501-1000b 2014 OB Calif. State Hall of Fame 14 O.B. Calif. State Hall of Fame 11 O.B. Calif. State Hall of Fame 08 O.B. 1st @ 200,300,500 the only day bird in San Diego County, in the top ten every race. 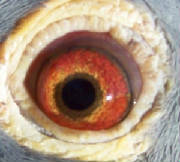 Click on birds to enlarge,all pictures on site. # 371 [Champion Winged Angel] 2 times 1st place combine winner. The Platinum Pair bloodline is throughout our loft. 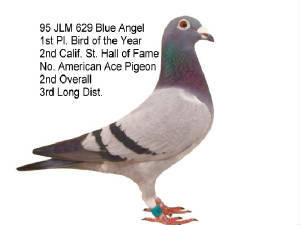 North American Ace Pigeon 3rd Long distance 500-1000 Birds. 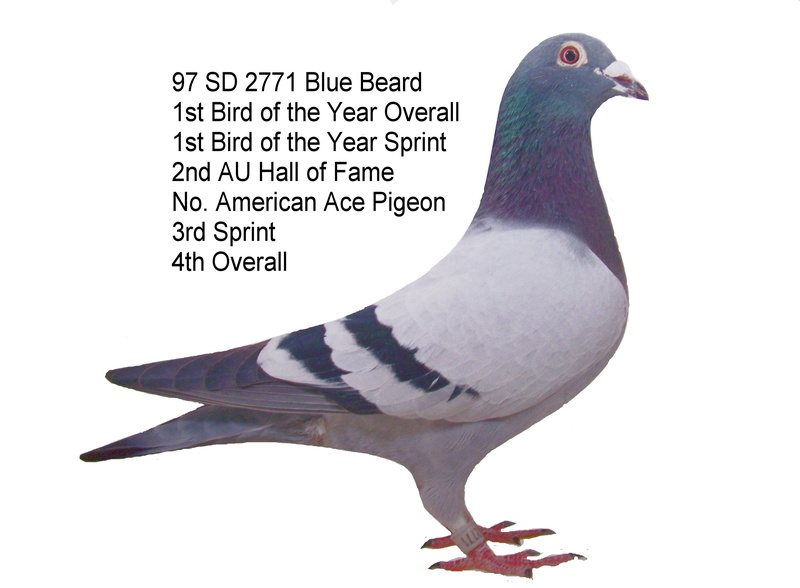 Dam to AU HALL OF FAME[Blue Beard]2771. AU All DIST. 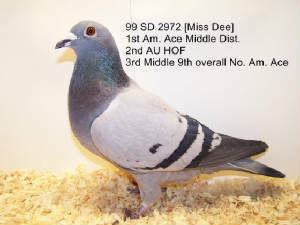 Ace Pigeons 3rd PL. PAC. Zone. / 19th PL. Overall 2005 O.B . 19TH A.U. Na. All Dist. Ace 05 O.B. 20th A.U. Long Dist. Ace 05 O.B. 7th Pl AU Pac. zone Long Dist. 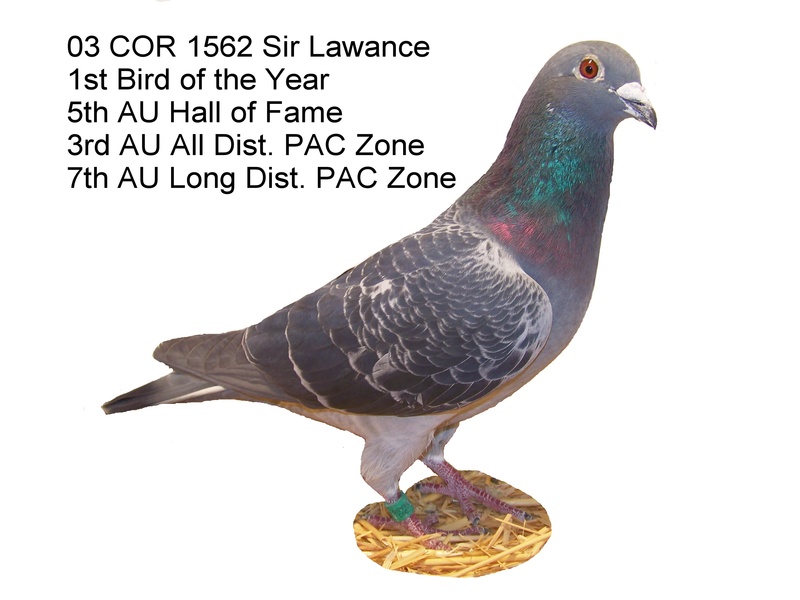 70th AU National Ace Pigeon [Middle Distance]. Sire; [Blue Knight] 1st Pl. combine winner. 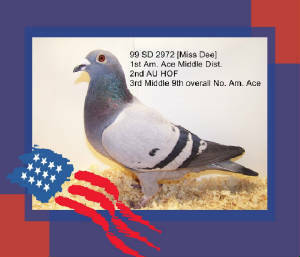 Dam; [Miss Dee] 2972 is AU HOF/ No. 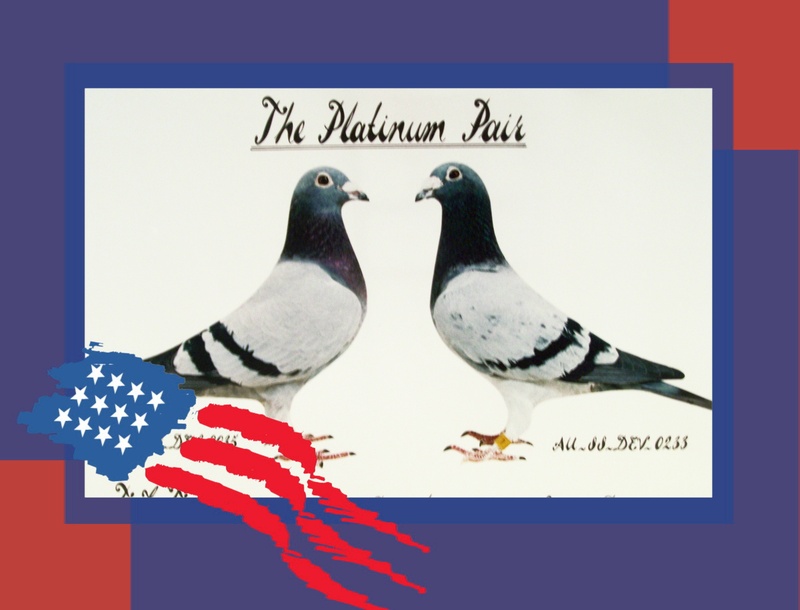 American Ace Pigeon/ American Ace Pigeon. Both parents won No. Am. Ace Pigeons awards. AU HALL OF FAME 2nd -21-30 lofts. 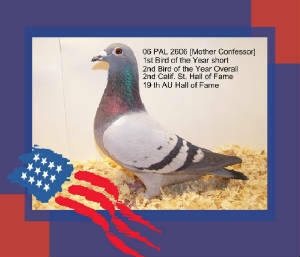 North American Ace Pigeon,9th Overall 151-300 birds. 1st place 3 weeks in a row. Gr. 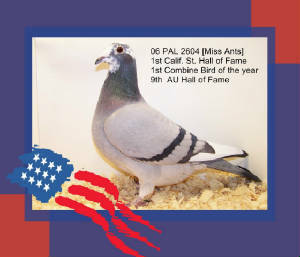 dam to [Mick] # 546 AU Hall of Fame 6th 31-40 lofts / 2nd place Bird of the Year Combine 05 O.B.